Losing weight doesn't mean you have to say no to snacks. There are plenty of 100-calorie snacks that you can eat throughout the day to satisfy your hunger and keep your diet on track. Of course, you can buy 100-calorie snack packs at the grocery store, but those foods are often heavily processed and don't include the healthiest ingredients. It is also easy to eat more than one of those packs because they are usually very small. That doesn't mean you shouldn't ever eat them, but it's smart to make some of your low-calorie snacks at home to boost your overall nutrition. Use these fun snack ideas to save money and make the most of your healthy diet. Got a sweet tooth? No problem! Calm your cravings with one of these healthy low-calorie. Just be careful to measure your portion sizes when you eat to be sure that you're not getting more fat and calories than you bargained for. Use a digital scale or use your hand to make sure you're using the right amount. You probably have a few sweet munchies that are low in calories as well. Just be sure to measure portion sizes to keep your diet on track. If you crave crunchy or savory snacks, here are some quick suggestions to keep your calorie goals in line. 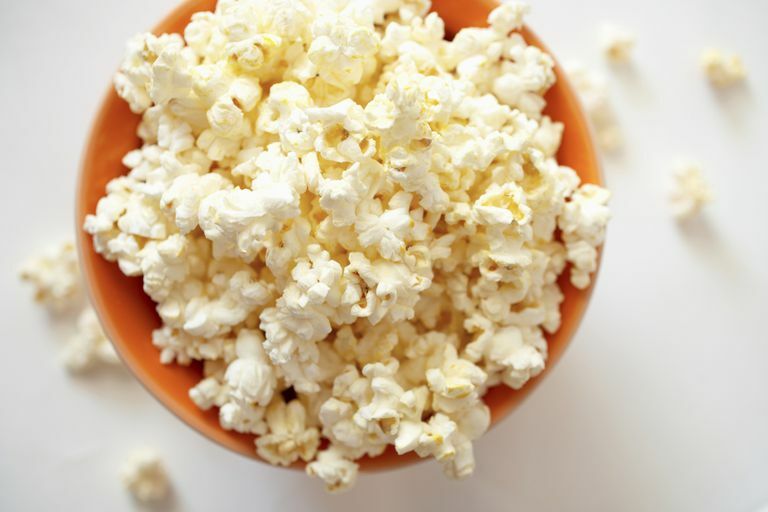 These snacks under 100 calories will satisfy your craving for salty foods. Remember that these savory foods are likely to make you thirsty. Some drinks may provide more calories than the snack itself. Drink water (make your own flavored water with berries or herbs) or choose a calorie-free beverage to quench your thirst. If you're like many dieters, you like to enjoy a salty snack followed by a sweet treat. This common taste phenomenon can lead to a never-ending cycle of snacking. If you know that you can't eat a salty snack without a sugary chaser, then have a diet soda or a small piece of fruit ready to go. Just one or two grapes or a quick sip of your favorite zero-calorie soda can bust your sugar craving and end the sweet/salty cycle. Remember that it's good to snack when you're trying to lose weight. You just need to make sure you're eating the right number of calories at snack time. Measure your food before eating and take time to enjoy the mini meal. If you eat at your desk or in front of the television, it's too easy to mindlessly overeat. But if you eat the right amount, these 100-calorie snacks will help keep your weight loss program on track.